This Audi TT RS Coupe covers the sweet spot between the rough sports car which is not meant for regular roads and the passenger car’s regular experience. Yes, it fits just in the medial of these extremes. The all-time regular drive sports car offered by Audi is really fast. 0-60 mph in 3.6 seconds with an all-time powerful responsive acceleration at all speeds. Covering a top speed of about 155 mph which delivers all that thrill just by reading it. Let’s dive deep into the specs and cost aspects and then decide whether this beast suits your high ambitions. The five-cylinder Engine perfectly mated with a bold transmission of Seven-speed S Tronic dual clutch along with your favorite Quattro all-wheel-drive system and a 20-valve DOHC (Double OverHead Cam) with Audi Valvefit system. 2018 Audi TT RS review makes sure you get the 0-60mph in 3.6 seconds every single time. Speaking of power the car delivers 400 HP @ 5850-7000 rpm and a torque of 354 Nm @ 1700-5850 rpm. Now the heart of the car, the Engine is a five-cylinder 2.5L Turbo fuel stratified Injection (TFSI) system. The Driving experience is just more fantastic with the Audi virtual cockpit which gives a more sportier experience with all the detailed data. The price tag starts at an MSRP of $65,000 which unfortunately increases exponentially with more options in the package. The Elegant interiors outpace the expectations to the fullest. The interior is designed keeping performance the primary concern. The interior is packed with Technology package like MMI Navigation plus and Audi connect which links the car to the world with traffic assist. The premium sound system by Bang & Olufsen makes sure that you and music are always connected. The RS badge steering wheel is all leather with satellite buttons adds to the premium yet sporty touch. The carbon fibre inlays is a perfect match with this Audi Sports car. The Stunning exterior of Audi TT redefines the sports appeal. The design of the all-new TT runs parallel with the changing concepts of beauty. The bold coupe with succinct and silhouette lines reserves its mark in the segment. Some of the significant features are the RS model single-frame grille with honeycomb structure along with Matte Aluminium-optic mirror housings and a stunning 20” 7-spoke Galvano Silver finish wheels match with the pace. The fixed rear wing spoiler and rear diffuser add some fresh horsepowers along with a sporty look. This new beast on the block will definitely take all the eyes with its elegant look and performance specs. Audi has set up a new benchmark and bridged the gap between the extreme sport to the passenger cars. The delicate drive with athletic styling adds up to a new move taken up by the team. The powerful meaning of this beauty takes shape with the Coupe style body along with a spoiler and a diffuser. This car will be best suited to you if you want to enjoy motorsports along with an iron mark of luxury. 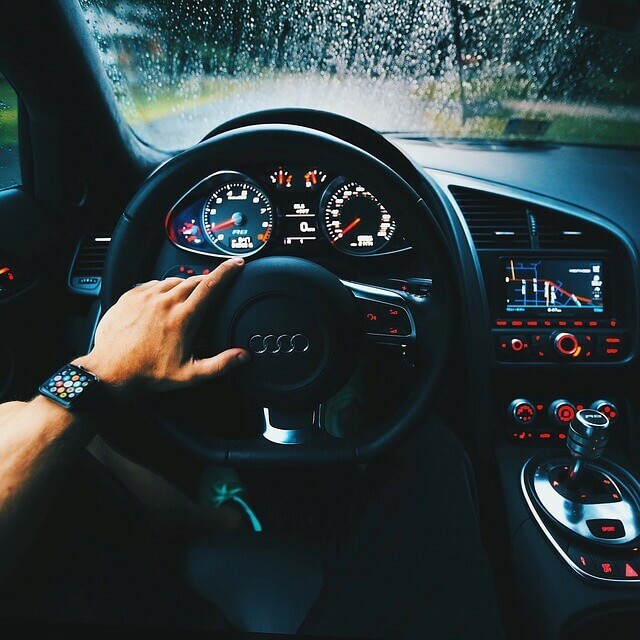 Audi takes of the duo and offers you the best experience every time you drive this Coupe.